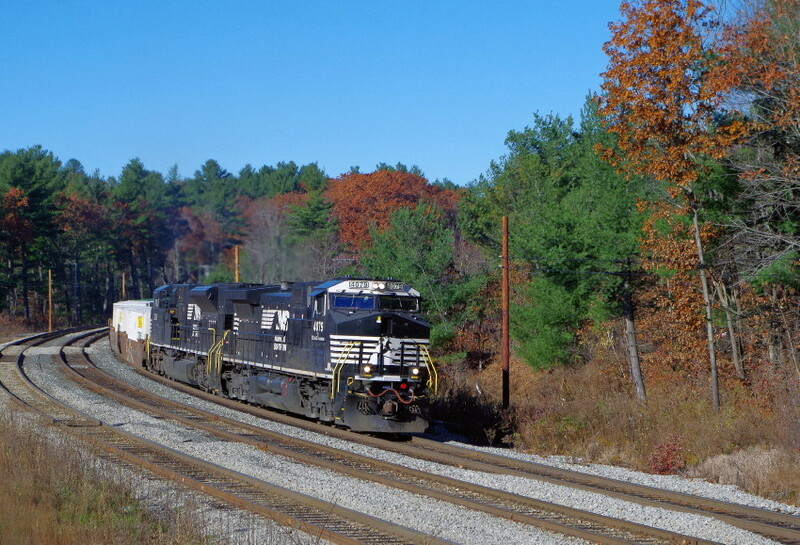 Norfolk Southern @ Fitchburg, Ma. (9:20am) First 22K, for me, since August. Photographed by Bruce Macdonald, November 7, 2018. Added to the photo archive by Bruce Macdonald, November 7, 2018. Nice shot. Lot of empty blue sky.